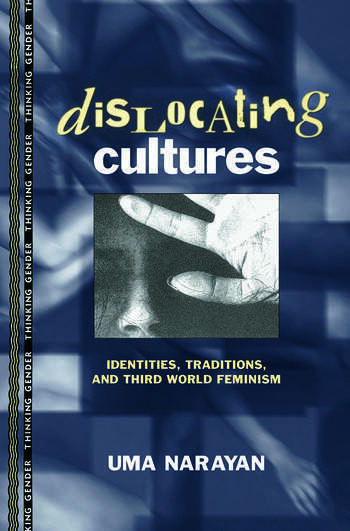 Dislocating Cultures takes aim at the related notions of nation, identity, and tradition to show how Western and Third World scholars have misrepresented Third World cultures and feminist agendas. Drawing attention to the political forces that have spawned, shaped, and perpetuated these misrepresentations since colonial times, Uma Narayan inspects the underlying problems which "culture" poses for the respect of difference and cross-cultural understanding. Questioning the problematic roles assigned to Third World subjects within multiculturalism, Narayan examines ways in which the flow of information across national contexts affects our understanding of issues. Dislocating Cultures contributes a philosophical perspective on areas of ongoing interest such as nationalism, post-colonial studies, and the cultural politics of debates over tradition and "westernization" in Third World contexts. Uma Narayan is Assistant Professor of Philosophy at Vassar College.